An agricultural town around 120 kilometers away from Davao City, the regional center of Mindanao, Monkayo is known for the gold-rich Mt Diwata. But apart from the rich gold ore deposits in the 1,000-meter high range, there are other aspects of Monkayo that make it worth the trip. Kumbilan Cave – also called Casoon, this cave has tunnel-like features as well as wide chambers filed with stalactites, stalagmites and other formations. 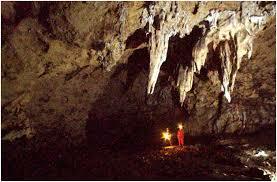 The cave is also called home by snakes and fruit flies. Despite that, some spelunking activities are done here. Awao Waterfalls – tucked between the hills of Awao, a farming village, the waterfalls can be accessed through trails with sweeping views. It is comprised of two waterfalls with waters that remain clear following a downpour. A trip to Awao Waterfalls is great for those who want to combine a love for nature and adventure. Reaching the falls itself is a thrilling and heart-stopping ride as riding a habal-habal is the easiest way to get to the spot where the trek to the falls begins. You will be rewarded for your efforts once you reach the picturesque Falls 1 with its curtain-like appearance, cascading on the side of a rock cliff. Falls 2 can be reached through a 25-minute steep ascent, but those who are made of stronger stuff can opt to rock climb their way to the falls. Octagon Farm – owned by Congressman Manuel Zamora, Sr. The farm is hailed as picturesque, and was once visited by Hollywood actor Josh Hartnett. Upper Ulip Hot Spring – one of the springs located close to Mt Diwata. 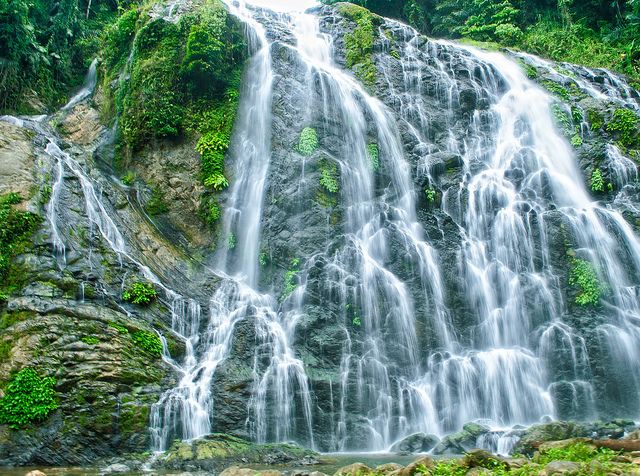 Sagay and Pasian Falls – these falls are great for those who want to visit a site that is not touched by modernity. Just like any other village in most of the Philippines, there are traces of Spanish influence like celebrations during the respective day of their patron saint. These events are called fiestas and there are a couple of them held in Monkayo. Kariyawan Festival – celebrated on the 4th of September, this event tells the story of a diwata (fairy) who protected the people of Monkayo and also gave them the first gold. Monkayo Fiesta – held on the Feast of St Ignatius, the town’s patron saint, on July 31. Fly to Davao City, the regional center of Mindanao. 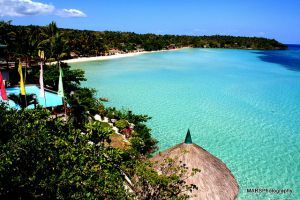 Davao is about three hours away from Compostela Valley where Monkayo is located. Get on a bus or van bound for Compostela Valley. It’s best to stop at the town center or poblacion. At the poblacion, you can get on a jeep to get you to wherever you like to go in Monkayo. 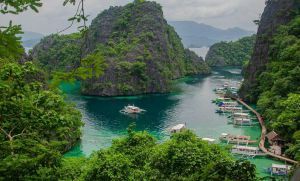 When fun and adventure is what you’re looking for, add Monkayo to your list of must-see destinations.